I first wanted to say thank you. Tonight was our first night coming out to that HV Station as a family which was a total blast. I wanted to ask if you have thought of franchising other communities? Just an idea. Once again thanks for a great family event for us. Here are Our Food Carts! Our hot dogs are not your average ordinary dog that you’d find at other stands. Load up our Philly roll with your choice of Provolone, Pepper Jack, Cheese Whiz or Cream Cheese to any sandwich! 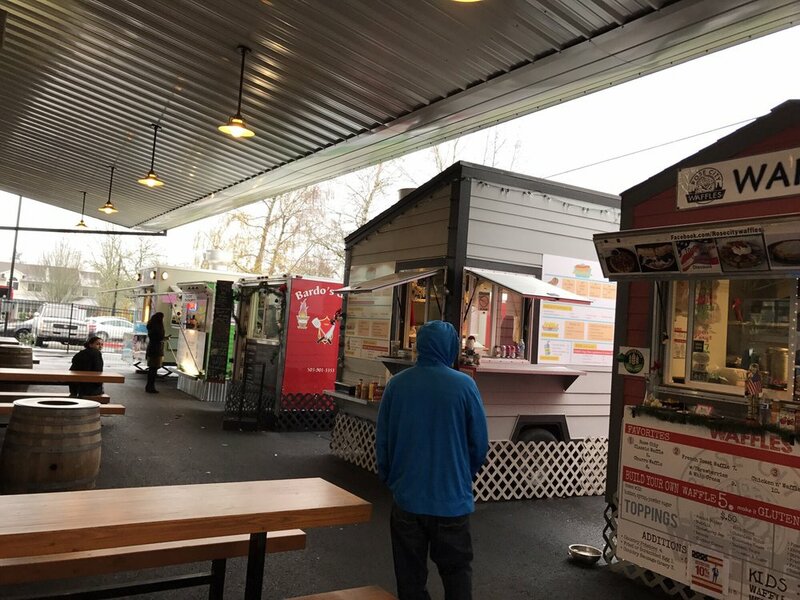 Char’ Latin Grill (formerly Polli-Tico) is a restaurant, food cart & food truck located in Portland, and Happy Valley, Oregon, specializing in Latin cuisine with flavors from Mexico, Central and South America. Our Sushi represents a modern twist to the culinary traditional Sushi. This is accomplished by creating unique recipes that utilize ingredients not typically associated with sushi but serves up delicious sushi with visual flair. One look at the vibrant color combination and arrangements invokes a sense that you are bringing home a meal that is nothing short of gourmet. Feeling constrained by pricey ,time consuming sit down sushi restaurant and lack of quality of pre made sushi from super market. With over 10 years experience of Sushi chef , I created the restaurant quality sushi from SUSHI cart (Wasabi Sushi PDX) at Happy Valley Station. Our dedication committed to providing the best quality possible at reasonable prices for family and all sushi lovers to this philosophy as strong as ever. Wasabi Sushi PDX was also born as a better way to serve premium Sushi Roll to Sushi B-Ritto to become Portland favorite food. We are sure that you will agree that our (Wasabi) Sushi is the wave of the future for sushi lovers everywhere. Woodfire Pizza and Salads. Crust is amazing food cart that serves woodfire pizza and salads. Get our mouth watering, juicy lamb on anything from a gyro, salad or over rice! We love to cook passionate Chinese food. Critic is the key recipe!! Great Hawaiian food! Big plates great place! Slurp your noodles, and drink your soup!!! No MSG in all food, you are good!